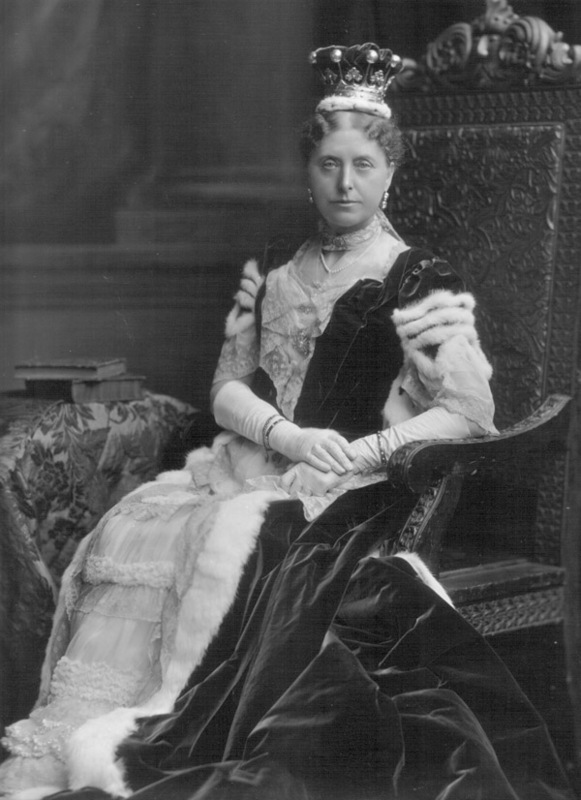 Caroline Susan Augusta, Countess of Normanton (1834-1915) née Barrington. Sitter: Caroline Susan Augusta, Countess of Normanton (1834-1915) née Barrington. Biog: Daughter of 6th Viscount Barrington; m. (1856) 3rd Earl of Normanton. Costume: Coronation robes of a Countess, skirt panel with 'fine old Brussels lace flouncing'. Furniture & Props: Studio chair. Costume: The Standard, 11 August 1902, p. 7g; see also The Court Journal, 16 August 1902, p. 14a.